*claps* Amazing. Maxwell isn't that bad. He let a moth live, that's something right? Wow that portrait is really good. well, If you're not using a Shadow manipulator, it could be that. The other machines don't open up some of the builds that you craft so you need the best science machine to build it. Don't Starve is good with out multiplayer. Someone make a item in the game of a book that reads all of these. 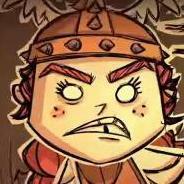 For April Fools, Klei will claim to be working on Multiplayer. If Don't Starve had logic, how the hell would I make a science machine with 3 gold, 4 logs, and 4 rocks.. While I can't make a single shovel... - - - Updated - - - Same.